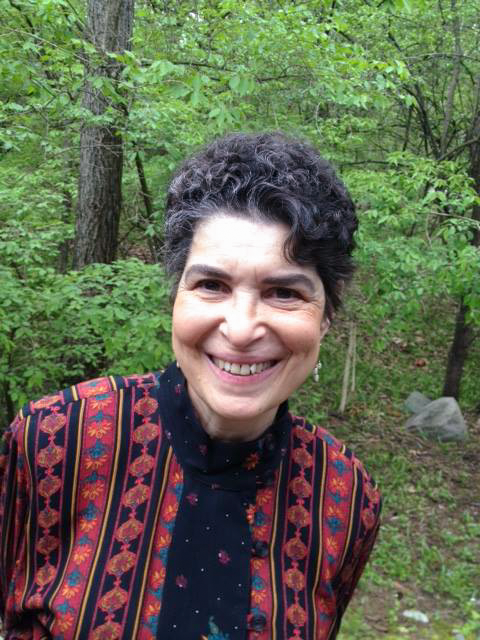 Judith Becker is Professor Emeritus of Ethnomusicology from the University of Michigan. An authority on the music of Southeast Asia, she is a co-founder of the Center for World Performance Studies at the University of Michigan and was its first director. She was also, for many years, the director of the University gamelan ensemble, which she helped establish in 1967. Her book, Deep Listeners: Music, Emotion, and Trancing (Indiana Univ. Press), was awarded the Merriam Prize as the best book published in ethnomusicology in 2004. Becker is slim, with a warm, welcoming manner, and a lilting musical voice. She is quick to smile and has an easy, almost girlish giggle of a laugh. We talked of her life in music, and particularly of her long held interest in the trancing traditions of different time periods and cultures around the world. Judith Becker: I grew up in Bay City, Michigan. I was a piano student and came to the University of Michigan as a piano major. I expected to give small time recitals and teach for the rest of my life, and then I got married, and my husband and I went to Burma in 1958. [Burma is now called Myanmar, pronounced Me-YA-ma.] We were in the Shan Hills, up in the northeastern part of the country, and I was 400 miles from the nearest piano, and we were there for three years. Well, you can imagine what happens to one’s chops in three years. And then another thing simultaneously happened. I was surrounded by this music that I couldn’t make head nor tail of. I don’t know if you’ve ever heard of Burmese hsaing waing. It is one of the wildest musics in the world. Sandor Slomovits: Is it like the Indonesian gamelan? Judith Becker: The music has some relation structurally to gamelan, but the gamelan has a nice, mellow tone. People say, “It’s so soothing.” The hsaing waing just hits you right between the eyes! It’s so loud, it’s so percussive, and it’s always fast. And it uses this oboe, that same kind of near Eastern oboe, outdoor, very piercing, very penetrating sound, which Westerners don’t like. And that’s very prominent. So, aurally, if you don’t love it, as I now do, you think it’s an abomination. The British, of course, thought the whole thing was just unbelievably terrible. They were used to North Indian court music, you know, sitars, sarods, long meditative pieces, not this punch-you-between-the-eyes kind of visceral music that you get from the Burmese hsaing waing. (Laughter) And they play heterophony, they’re all playing the same melody, but nobody is playing it the same way. So it violates all of our aesthetic principles! There was no such thing as ethnomusicology in those days. There was no Nonesuch Records, no exposure to world music. But there I was, up in the Shan Hills, surrounded by this music that was totally baffling. So I decided, “Well, these are sensitive, intelligent people, and they love it. There’s got to be something here that I am missing.” So I sort of began my education as an ethnomusicologist. And that has made such an impression on me ever since, that you cannot make assumptions about other people’s musics by superficial listening. When we came back in the early 60’s, my husband was hired here at the University. By that time there was such a thing as a degree in ethnomusicology, Bill Malm was here, and by that time my curiosity was totally piqued about world music, and so I got a degree. It took me a long time because I had three little kids and I could only take one course at a time — but eventually I did get my degree and was hired here at the University in ‘72. Sandor Slomovits: You helped start the gamelan here. Sandor Slomovits: I could see that coming! (More laughter) So he spent the three weeks trying to bring the Ann Arbor style closer to one of those two styles? Becker: Yeah! What he did was teach me. He taught me intensively for three weeks. We spent ten hours a day. And of course I transcribed furiously whatever I could, as much as I could. Then he left, he went back to UCLA. And for all the rest of the year I taught my little group what he’d taught me. And the next fall, fortunately, the School of Music paid again for him to come for another few weeks and we did the same thing. By that time I was ready to do dissertation research and went off to Java and really learned something. (Laughter) When I came back I had my feet on the ground much more, and then I was the director [of the gamelan] for decades, but we always had visiting artists, because I was never like a native. That would take years. I didn’t have years. I was never as good as the artists that used to come here, and still come here. Slomovits: I remember when I moved here in the early 70’s the gamelan used to be more visible than it seems to be now. Becker: It’s not as visible as it was. We used to give these big dance dramas in Hill Auditorium. I retired from the directorship of the gamelan in 2000. It was taken over by Susan Walton, who teaches in the Residential College, and she managed to get some very high powered musicians to come, so that we’ve had a couple of big Hill performances. But we haven’t had the support from the music school we used to have, mainly because Susan is not in the School of Music, and then the present dean is not very sympathetic to non-Western music, particularly to the gamelan, because it takes up a lot of room that he wants to use for other things. The gamelan is about to be mothballed, unless something dramatic happens. Slomovits: Trancing is pretty foreign to most of us in the West. If you had to define it for people who have not read your book, Deep Listeners, what would you say? Becker: It’s a different kind of consciousness, an altered state of consciousness. At least possession trance is almost always, I don’t want to say caused by music because that doesn’t seem right, let’s say infused by music. It very rarely happens without music, and mostly it happens in a religious context. Of course we have secular trancing at raves and things, but that’s rare as the world goes, it’s almost always within a religious context. Slomovits: You write about deep listeners, as you call them, who are different from trancers, but related…. I’ve had numerous experiences when listening to certain pieces of music…sometimes I cry almost uncontrollably, or feel a ferocious rage, or an inexpressible joy. There’s a certain Hungarian gypsy piece, or the ending of La bohème for example, that will reliably have that effect on me. Is that what you are referring to when you talk about deep listeners? Becker: Absolutely! In fact, it was when I started thinking about and trying to figure out why we don’t trance in this country, that I realized that those people are right under my nose and I didn’t notice. They’re what I call the deep listeners. It very often is divorced from religion, but they still have that intensity of reaction. But of course I think they don’t trance because it’s so denigrated in this culture. I think with a little encouragement, and a different culture, they well might trance. But you know, we’ve got to be in control of ourselves. Becker: Exactly! Exactly. There’s a governor that’s keeping control. Becker: Of course! We have such strong cultural inhibitions that we won’t allow ourselves. Slomovits: You write that trance usually takes place in the context of a community. Slomovits: If there’s no community that supports it, it can’t happen very easily. Becker: It very rarely happens in isolation. It’s very much a community event, although it’s only some people within the community that do it. But it’s the community that supports it, encourages it, and wants it because it’s a system of communication with spirits or gods, or whatever, with powers outside of ourselves that people want to be in communication with, for all kinds of reasons. Some religious trancers find the experience not fun, whereas for the deep listeners, it was uniformly positive. It might make them cry, but it was a uniformly positive experience. But for the religious trancers, for some people, it’s not fun at all. They do it, you almost might say, out of duty. Like in Bali, you must communicate with certain kinds of spirits, they often are not particularly benevolent. So you do it because your community needs you to do it, and it can take its toll. Sometimes I found that negative aspect in Sufi trancers, but mostly not. Mostly the Sufis were totally positive about the experience, and of course the deep listeners always are, because that’s totally their own choice. They do it because they love it. Slomovits: Please talk more about your studies of trancers and deep listeners. Becker: When I started working with the Pentecostals in Ypsilanti, I had to talk to the pastor, I had to get his permission. I had to explain what I was doing when I first started my study, because I wanted to hook up the trancers with galvanic skin response testers to find out about blood pressure and all of these things. I got permission from the pastor, so I set up my little booth outside, in the lobby of the church, saying this was a University of Michigan study about music and religious ecstasy. I didn’t use the word trance because religious ecstasy is more acceptable. And nobody signed up, nobody. Week after week, nobody. So, my research assistant, who was bolder than I was, said, “The only way this is going to happen is if the pastor makes an announcement from the pulpit.” And I said, “I can’t ask him to do that, I can’t do that. I’m too shy.” He says, “I’m not!” and he tears off and he goes and asks the pastor, “Please, would you announce from the pulpit about us and what we’re doing?” And the Pastor said, “Yes,” and he did. And right away people lined up after church. Slomovits: You didn’t write about this study in Deep Listeners. Becker: It came after Deep Listeners. I had made this hypothesis in the book that there is a connection between deep listeners and trancers, and I made all kinds of physiological claims, which were not demonstrated in any kind of an experiment. What I wanted to do was demonstrate that there actually is something physiological happening. The correlation between deep listeners and trancers was the one I make in this book, and without any real, hard evidence. So I decided that I had to do better than that — that I had to actually show some physiological responses that were similar to trancers and deep listeners, and that other people did not share. So, I had three groups. I had deep listeners, and they were easy to find in the School of Music, and I had trancers from the Pentecostal church who I had become friends with and who trusted me. And I had people who declared themselves not to be deep listeners. I mean they may like music, but they didn’t cry and do all of the things that deep listeners do. And so I hooked them all up in galvanic skin response, and with earphones, and had them listen to music that they told me was deeply moving for them. And then we had a control music, and then the same for the Pentecostals. And indeed it did show that there was a different physiological response. Slomovits: What were you measuring? We were measuring heart rate and pulse and blood pressure, and it was different between the control group — which was not deep listeners and not trancers — and the trancers, and the deep listeners. These people were much more similar to each other than they were to the control group. So that kind of said that at least I was on the right track. It doesn’t really prove anything because it was a small study, because I couldn’t get any funding. I tried so hard to get some funding to do it on a big scale. So I had to fund it myself. I had to pay people to come. I was taking their time. I had to buy the equipment, which was really expensive, but it did prove that there is some correlation — I want to be cautious — some correlation between Pentecostal trancers, secular deep listeners, most of whom were from the music school, different from people who were neither trancers nor deep listeners. Slomovits: You write in Deep Listeners, “We need to make a Hegelian move and transform the dichotomy between scientific universalism and humanistic particularity and embrace both as necessary to the study of music and emotion.” In other words, that on the one hand all people are created equal, and yet there’s such diversity between us, that to bridge the boundaries between cultures is very difficult. Slomovits: When you first went to Burma, the music there was neither pleasant nor comprehensible to you, and that has really changed for you. Becker: Yes. Oh yeah. The more I listened, the more I could make sense of it, and the less resistant I became to the violation of all my aesthetic principles. And then I came to love it, to truly love it, as I do now. But I worked at it. Slomovits: You write about that in relation to the trancers too, that there is an element of practice there too, that trancers sometimes have to learn to trance, and that some traditions even advocate ‘faking’ it at first as a way of learning to do that; working at it, until you no longer need to work at it. In a sense, that’s what you’re describing about your relationship with that music. Becker: Yes, that’s true. In that sense it’s a similar experience. That was a stunner to me, and that was from al-Ghazali, the medieval Islamic mystic Sufi, who talks at great length about learning to trance and he says very explicitly “you start by pretending” and then it becomes not pretense. And the more I thought about it, the more sense it made, that you can learn to trance. Slomovits: Isn’t that how we learn everything? Playing a C major scale at warp speed is not an innate ability; it’s not a ‘natural’ thing to do with your fingers. It comes naturally after you do it a thousand times. Becker: That’s true. What is alien at first becomes totally internalized. That’s what we do all our lives, we continually adjust to what’s going on around us. Slomovits: I was also particularly interested in the part of your book where you discuss the function of music and dance for early humans; that it was perhaps a way of discovering alternate states of consciousness and served to bond people in exploring those various options. I can remember when I first went to Java, one of the things I was struck by was the sensitivity of people to other people. It felt like they all had these antennae out, and I began to think about that image, of people with these antennae out, sensing the people around them, and the environment around them, in these so sensitive ways. And since then I’ve come to realize that we do it too, but we don’t do it so overtly, I think. And then, of course, when I began reading the literature about entrainment and coupling and how this is what all organisms do, amoebas to plants to animals to people, we constantly adjust to each other and everything that’s happening around us, all the time. Every moment of our lives. We’re constantly making these little adjustments, which to me is so wonderful somehow! (Laughter) We never stand still. It’s just totally against living organisms to stand still. Slomovits: Can you talk a little about how we use music in our culture? Becker: It isn’t what 99 percent of the world does, to listen to music in isolation. People listen to music in groups, and with much more participation than we do. It’s so profoundly social. I learned this, and I kind of learned it profoundly, and I still have a little trouble going to Western concerts where you just sit there, and you can’t even talk to the person sitting next to you, you can’t move, you can’t do anything. It seems so unnatural. Of course, it’s natural to the people that do it, but it’s not the way most people do it. But, lots of people get lots of benefit out of, say, listening in solitude. You can change your mood. You can feel comforted. I certainly don’t blame people for doing that, but I would want them to also belong to some folk dance group or something, or learn to play an instrument and play with your buddies, even badly. Do it with people. Slomovits: You found that trancing is often intertwined with religion and spirituality. What is your religious upbringing? Slomovits: What about your personal experience of trance or deep listening? Becker: I am not a deep listener. But I became aware that an awful lot of people I know are. No, I’m not a deep listener, and I’m kind of sorry, I mean I think I’m missing out. I love music, but it doesn’t have that…taking over thing that it does for trancers and deep listeners. Slomovits: What is your musical life like these days? Becker: I go to the Quaker Meeting where we don’t have any such thing as music and we sit there quietly. (Long, delighted laughter.) Which is kind of contradictory, but…I go to concerts, performances and enjoy them immensely. I just wish that I, and my culture, were more interactive. Slomovits: What do you listen to at home? Becker: Just about anything. I like all kinds of music. I like classical, I like folk, I like rock, I like jazz…it’s all wonderful. And musicians are wonderful people. I’ve been very lucky to have been associated with so many in so many different places, because they really are quite wonderful people. Slomovits: Hopefully we all get to that stage, of being unconcerned about what others think of us. (More laughter) May I ask how old you are? Becker: I’m 81. Old age is good. Becker: And that’s the way it is, and there’s nothing we can do about it, even people you’re close to…. Human beings are totally mysterious. Sandor Slomovits is a regular contributor to the Crazy Wisdom Community Journal and a professional musician, performing music for children and families with his twin, Laz, in the duo Gemini, and more recently as part of a trio with his daughter, Emily, and their friend, Jacob Warren. Posted on August 28, 2014 by Sandor Slomovits and filed under Programs and tagged Issue 58 Judith Becker Music Listening Sandor Slomovits.